There’s a space lurking underneath your floor that is commonly overlooked and is possibly responsible for your cold floors and drafty rooms. The rim joist, also known as the bond joist or band joist, is a board that caps off the floor joists and forms the outer box of the floor assembly. It’s important to both air seal and insulate the rim joist to prevent moisture problems and wasted energy. With more than 15 years experience, RetroFoam of Michigan knows using spray foam to insulate the rim joist can make a difference in the comfort of your home. How Much Does It Cost to Insulate a Rim Joist with Spray Foam? The average cost to insulate a rim joist with spray foam is between $1,150 and $1,500, but could be even less after discounts and rebates. What Factors Determine Rim Joist Insulation Cost? The size of the area that needs to be insulated is the number one factor in determining cost for insulating a rim joist. In some cases, if crews need to spend several hours moving objects away from the rim joist in order to start the job, there may also be a charge for that. Another factor in determining cost is the material used to insulate the rim joist. Open cell spray foam is usually recommended, but there are circumstances when closed cell is a better option. Closed cell foam tends to be a more expensive product. There are several differences between open cell and closed cell spray insulation, including the composition, blowing agent, sound dampening capabilities, and moisture permeability. Spray foam insulation, regardless of the type, is going to create an air seal and insulate your rim joist. 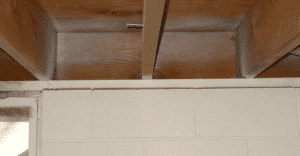 What are the Benefits of Rim Joist Insulation? The number one benefit of insulating the rim joist is a more comfortable house, meaning it will reduce cold floors, which is a major complaint. You may not see the same cost savings in energy bills like other areas of the home, but it will make you much more comfortable by reducing drafts, cold floors and the potential for mold and mildew. What is the Process for Spray Foam Insulation on a Rim Joist? 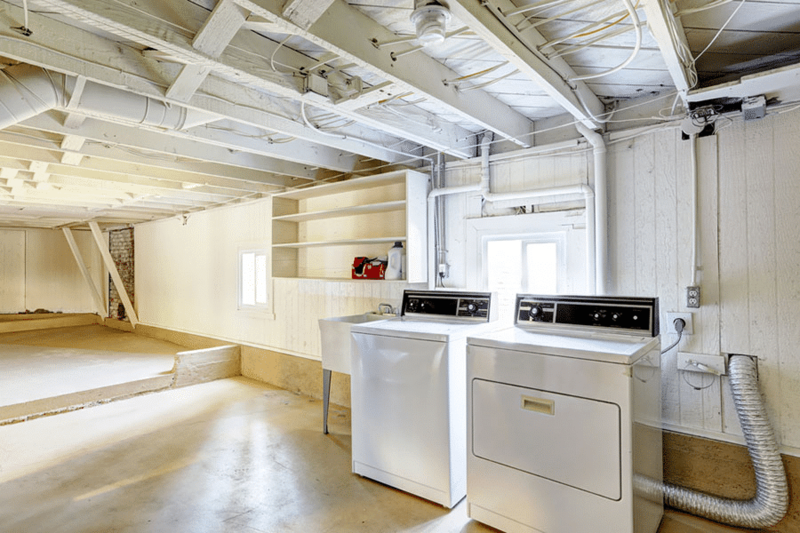 The first step in the insulation job process would be removing any fiberglass insulation from the rim joist and to ensure any furniture or storage be cleared away from the basement walls. Crews will then put plastic over the windows and nearby shelves or storage to ensure they do not get overspray on them. Next, the person spraying the foam suits up, brings the hose into the basement and sprays the rim joist. There’s generally no cutting of the foam or cleanup with the rim joist unless there is overspray. It’s a fairly quick and simple process with the job usually lasting about an hour and a half. What Services Should be Included When Insulating a Rim Joist? Cleanup preparation for insulation job. Rebates filed with your energy provider. Sometimes cold air moving through a rim joist can contribute to the discomfort you are feeling in your home, but sometimes there is more to the discomfort you are feeling. Another cause for heat loss in your home could be due to poor or no insulation in your attic. Cold walls, drafts inside the home and high energy bills are also signs you need new or better insulation in the exterior walls of your home. Insulating your entire home using RetroFoam injection foam and spray foam can make a difference year-round, not only keeping you cool in the summer and warm in the winter, but also saving you money on your energy bills. When you are ready to schedule a free in-home estimate give us a call at 866-900-3626, or fill out the form on our website. You can also check out our budget calculator to give you a rough idea of the cost to insulate your rim joist.